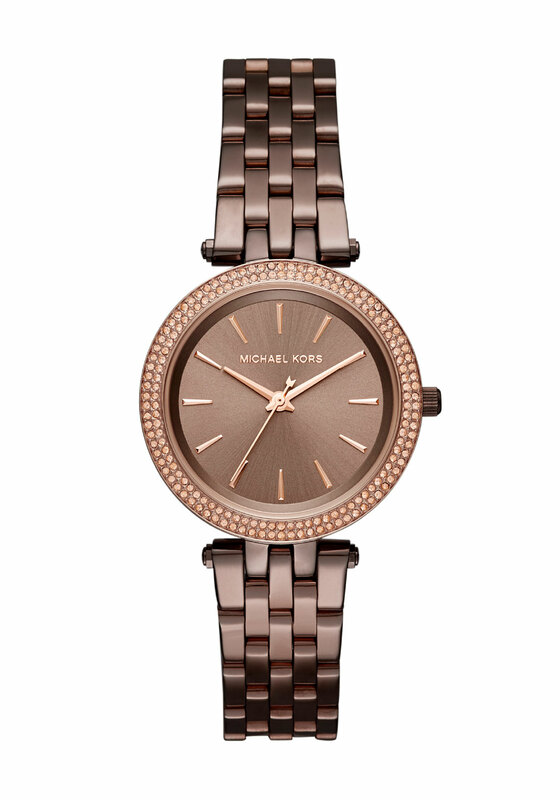 Give your wrist a fashionable update with this elegant Michael Kors slim watch from the Darci collection. 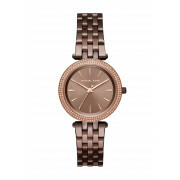 Designed with a classic brown dial and rose gold hands that compliment the impressive bezel of glittering crystals. An elegant timekeeper for the contemporary fashion conscious lady.